Greenway Park features THPRD's only disc golf course. 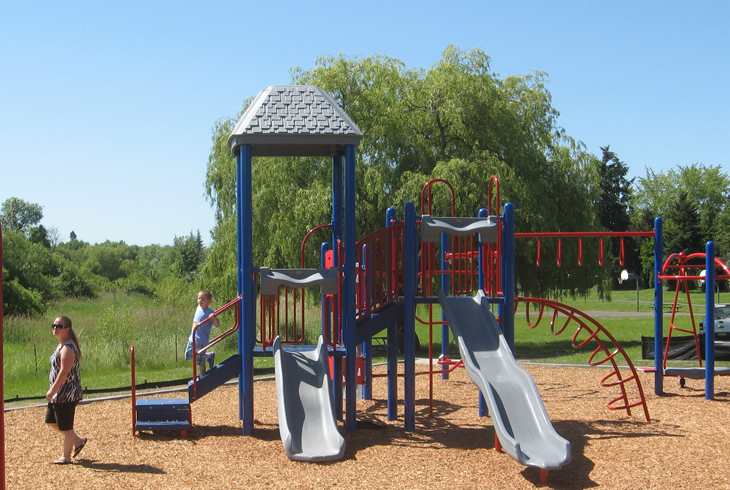 One of the largest parks in the district (87 acres), Greenway Park includes several play structures. Vast Greenway Park provides miles of paved trail for walkers, runners and cyclists. Stretching between SW Hall Blvd. and SW Scholls Ferry Rd. 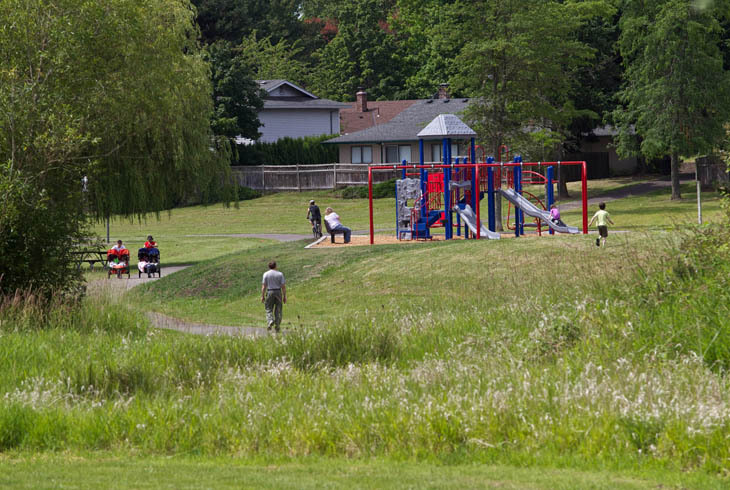 at the southern end of the district, 87-acre Greenway Park is a popular, well-traveled park site. 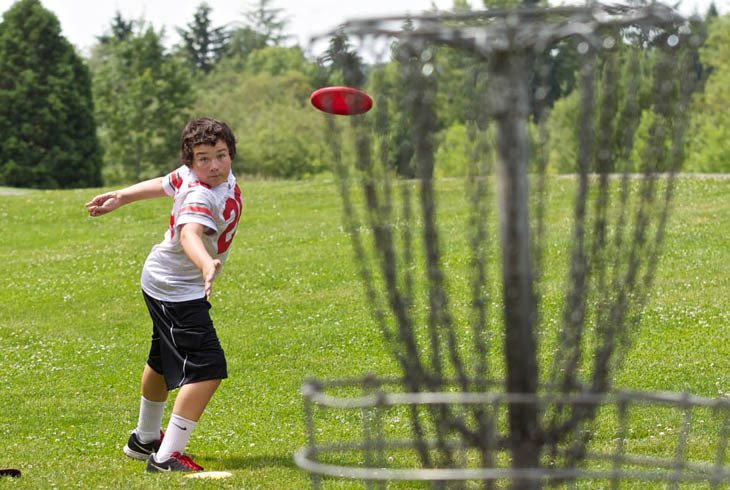 The park is a regular site for the district's summer concert series, and is the place to go to in Beaverton for disc golf; the nine-hole course attracts both beginners and advanced players. Amenities at Greenway Park include a basketball court, tennis court, and several play areas for children. The park sits along the paved Fanno Creek Trail, a go-to spot for walking, biking, and roller skating. The trail also provides ample opportunities for bird watching and the viewing of other wildlife, such as red-winged blackbirds and beavers. On the east side of Greenway Park sits the Koll Center Wetlands Natural Area, a wetland with bird watching opportunities year-round. Greenway Park has a concept plan to guide improvements and changes over time. Click here to learn more.